It is due to be very cold, but largely dry, in the build up to the two-day Dublin Racing Festival which begins at Leopardstown on Saturday. 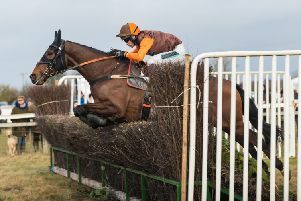 There are only a handful of British runners over the weekend, but Gary Moore looks sure to saddle Knocknanuss (5/2 with BetVictor) in the Irish Arkle if the forecast is correct – needs decent ground – although Joseph O’Brien’s Le Richebourg (13/8 market leader at BetVictor) was hugely impressive over C&D last time. Wincanton and Fakenham failed to pass morning inspections but they go at Newcastle. In the opening 12f handicap I like the look of Home Before Dusk (4.05) who stayed on nicely into third on his first start at the trip at Wolverhampton last time. This lightly-raced maiden has been off the track since November, but the hope is that Keith Dalgleish will have him fit and ready after his short break. At Meydan, I was hoping to see Woven (3.40) step up to a mile having finished with a rare rattle when runner up over 7f here three weeks ago. The selection was, arguably, unlucky on that occasion having been hampered soon after the start. Jim Crowley keeps the ride. If Sporting Chance settles better than he did on his reappearance - behind Woven – he would have a chance of reversing the form, but he has yet to prove he gets this 7f trip. I wouldn’t give up on Key Victory stepping back up to 10f, but I have always been an admirer of Oasis Charm (5.25) and I hope he can give William Buick a winner on his comeback from suspension although he does also have several fancied rides in the dirt races for Godolphin who have dominated the Carnival to date.